This page is here for lovers and users of the Simmons SDS range of instruments. 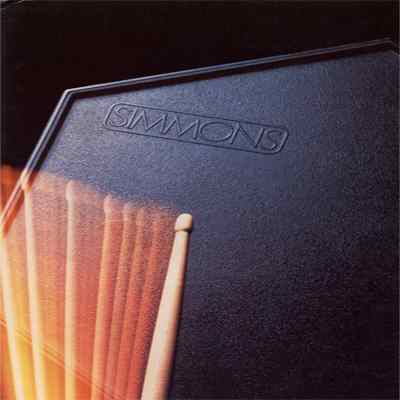 The Simmons range of drum synths was unique in sound, design and use, it formed a huge part of the sound of songs in the 1980's and became instantly recognisable. We hope to try and include user guides and service guides for every peice of Simmons equipment made, but there's not much around, so if you have any thing you'd like to add, please feel free to contact us. We will also try and add sound audio examples of the various equipment. Again, if you some examples we'd love to have them to put on here. www.beatboxer.de Damir-Kristijan Rogina, Colin Fraser, Jeff Biegert, James Walker, Patrice Jacquot, Graham Ritchie, Kent Wennberg, Markus Einheuser, Carlos A, Jym, Wolfgang, Jesper, Burkhard Heese.